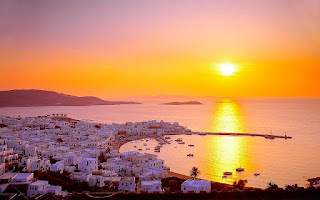 Mykonos is a wonderful Cycladic island, worth visiting at any time of the year. However it is a must to enjoy the days of its summer glory, when it literally becomes an international village, when its community of believers make it a sight worth seeing, when one can experience the unique feeling that everything and everyone is in Mykonos. Surrounded by Tinos, Syros, Paros and Naxos, a small island stands out, globally renowned as one of the most popular tourism centres of the Mediterranean. 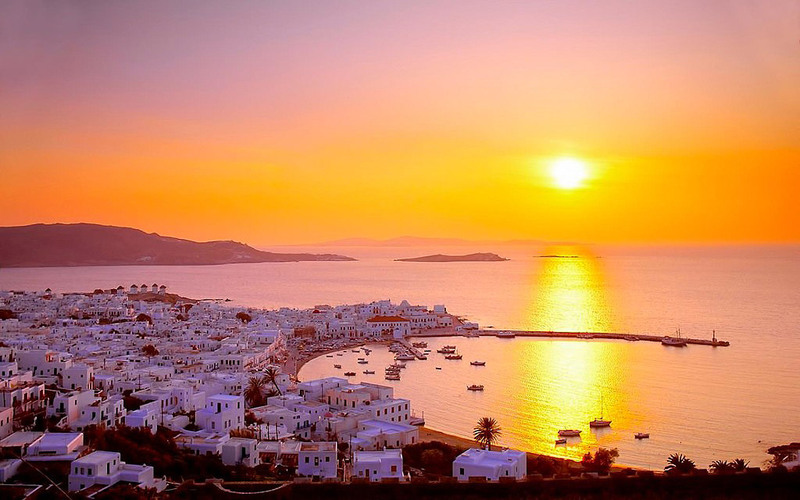 However, despite its cosmopolitan character, Mykonos remains a beautiful and picturesque island, whose all-white Chore lies next to the sea, with golden beaches, friendly and smiling people, and a continuous link with history lasting for centuries. If you think you've seen someone that looks famous, then you're probably right. 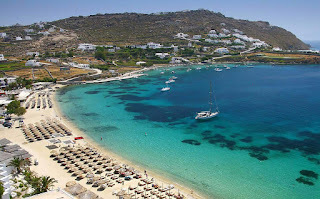 In Mykonos you'll sit right next to famous actors, singers, stars, TV personalities, top models. 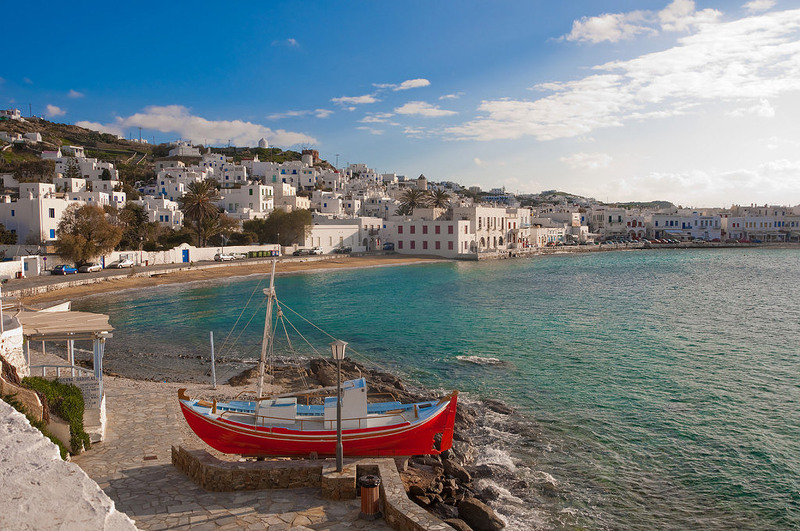 Yet, behind the glam, Mykonos is calm and wonderful - even in wintertime. 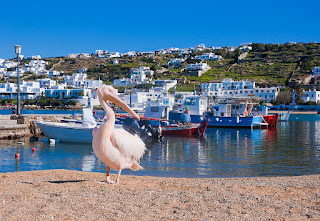 Village Ano Mera: representing the traditionally Greek island side of Mykonos, it’s calm, authentic and picturesque, with the historic church of Panagia Tourliani as its main attraction. Church Paraportiani: located at Chora, it is a well-known unique architectural complex of five chapels and also an icon of Mykonos. 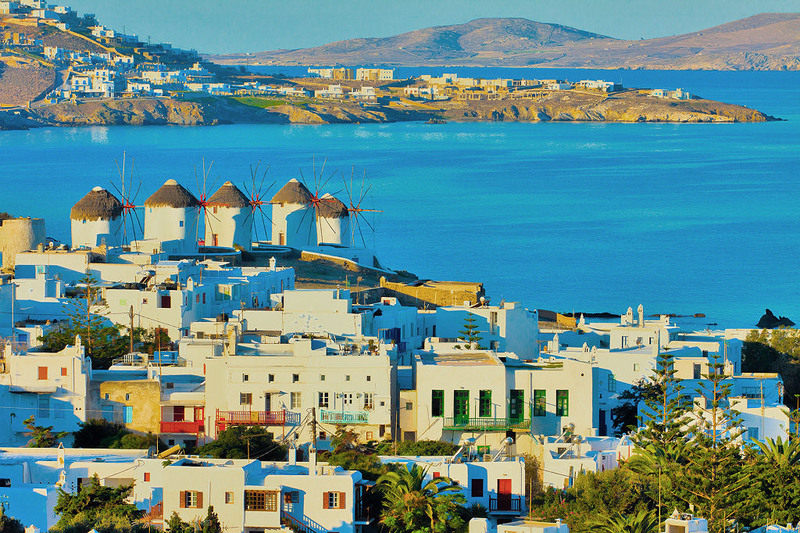 Museums in Chora: if you’ve had enough of partying and miss some sightseeing, why not pay a visit to the Archaeological Museum, the Aegean Maritime Museum and the Folklore Museum? It’s both educational and rewarding. 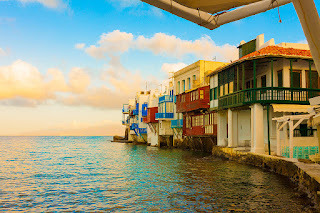 The Mykonos cuisine includes many varieties of pork dishes (with cabbage or wild greens, smoked pork, sausages) and wonderful recipes for fish and seafood: sea snail casserole or risotto, mackerel with capers, sea urchins in vinaigrette, clams, mussels. Well known is the spicy cheese pate, kopanisti, while fennel croquettes, garlic pasta, asparagus with eggs, and green fried tomatoes are also delicious dishes. Honey pie, pasteli and macaroons are the famous sweets of the island. Don't miss the chance to taste a cool soumada, a drink made using almonds. 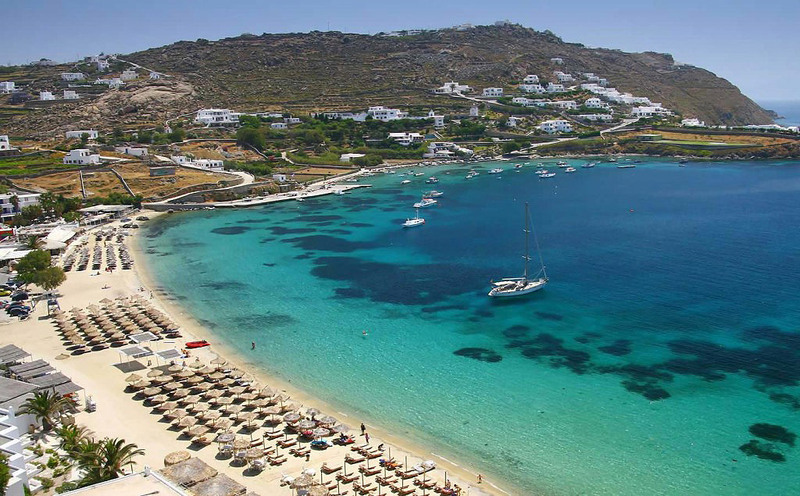 The wooden boats and windmills, the wonderful knitted and leather items — traditional products of Mykonos — will give you some idea of the souvenirs you can take back home. 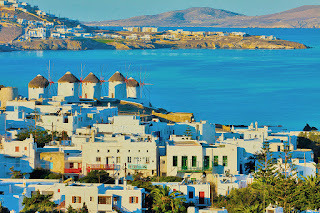 Traditional and unique feasts despite the spectacular touristic development of the island, the people of Mykonos are still simple, cheerful and hospitable, and always make the time needed to maintain their traditions and customs, which is easy to understand for anyone who spends time with them. 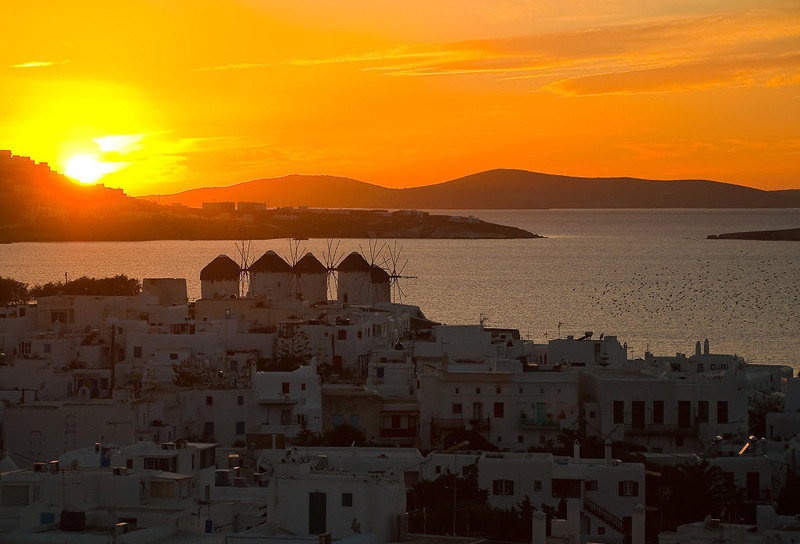 The feasts in Mykonos give entertainment a different dimension. 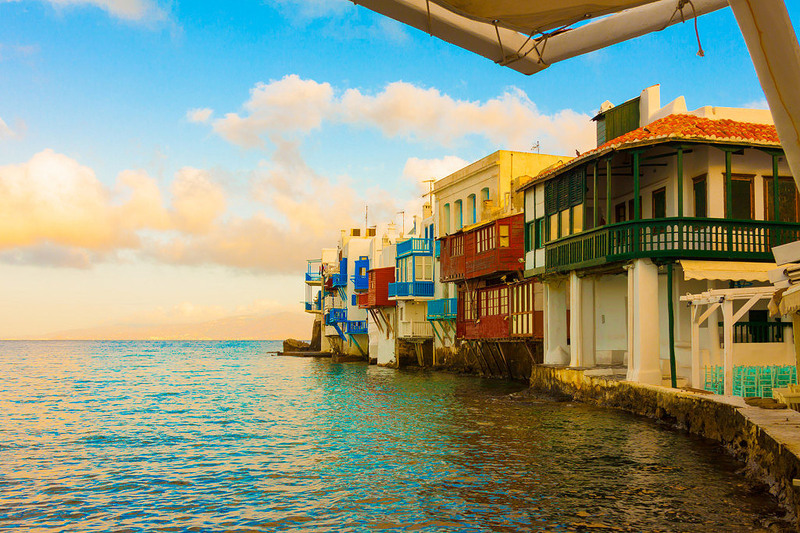 On 6 January, "Balosia", a celebration to open the maritime period, takes place in Chora. 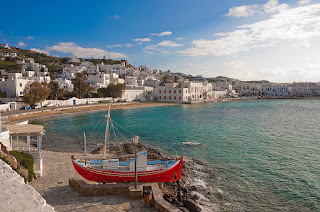 On 30 June, the celebration of Agii Apostoli coincides with the celebration of fishermen, and a large feast is organized on the beach of Chora, where seafood is served. 26 July is the day of festivities celebrating Agia Paraskevi in Chora, 15 August is the celebration of Panagia Tourliani in Ano Mera. The traditional custom of pig slaughtering takes place in October accompanied by feasts and celebrations. Hiking, Scuba diving, Horse Riding, Mini Golf.